Amazon.com is selling Star Wars the Clone Wars: Republic Heroes on both XBox and PS3 for $12.98. 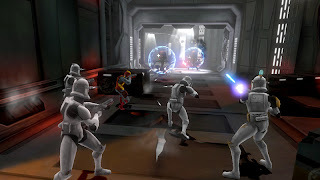 This game is the video game follow up to the popular 3rd and final movie to the Star Wars prequels. Just to compare the savings the Wii version of this game is still selling for over $40 as of this posting for Amazon.com.